In the dream world, we all are visitors. Even if we try to touch anything in our dream, sleep splits. Again when a man throws a plane made of paper in the sky, the plane of paper also faces the ground, and like this, the dream messages are hiding behind the folded papers. But everyone’s dream is not hidden. Someone’s dream whispers like the sun in the dense cloud. The story of today is coming out of the lifeless books, like the fairy tales, in front of the eyes, only waiting to be fulfilled. We will know about the person if who can return to the world again, wants to be president of the United States of America. Alyssa Carson who is also known as Blueberry. She was born on 10 March 2001. We were talking about her. Little girl Alyssa is the 17-year-old teenager going to Mars in 2033 Surprised as first Mars walker. You want to ask now, “Is it true?” Yes, it is true, even though very old news. Because Alyssa Carson officially accepted the invitation from NASA to be an astronaut in 2015. Alyssa is going to keep her legs as the first man in our neighboring and future planet called Mars, though there is enough concern among scientists about whether to return. But NASA did not stop. They are continuously working after the successful landing, Mars research, safely Alyssa’s backing in the world. Alyssa Carson was born in Hammond city located in Louisiana in the United States. His father’s name is Bert Carson. Bert Carson is very brave that he inspired her daughter for such adventure. This is like a victory in father-daughter eyes. 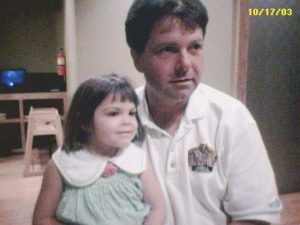 Alyssa started to watch animated cartoons when she was three years old. Her favorite cartoon series was ‘The Backyardigans’. One day, in one episode of this cartoon series, five friends were seen to travel around Mars through imagination. Since then, the little Alyssa wants to win the red planet. He told her father about her dream, father agreed. From the beginning, Alyssa thought that this red planet would be very cool, it would be very difficult to reach. But her father did not stop. Since the daughter’s desire is too high, father became a master of stairs to climb up higher. Alyssa is currently studying at Baton Rouge International School in Louisiana. Alyssa is studying science as well as acquiring 100 percent proficiency in 4 different languages including Spanish, French, Chinese and Turkish. 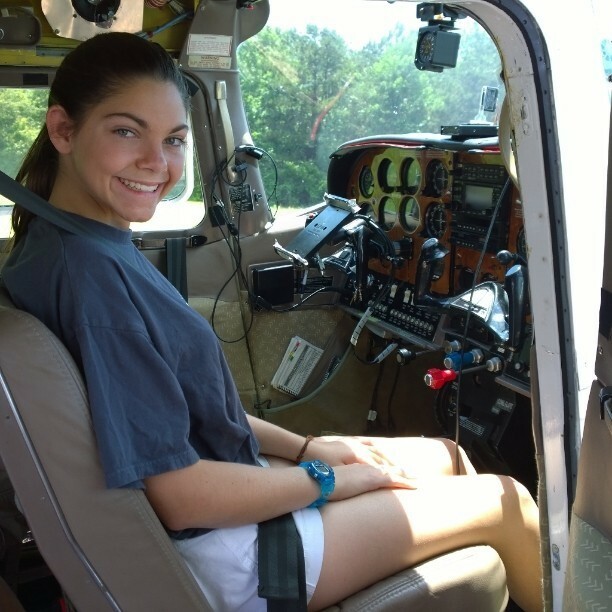 When Alyssa was 7 years old, her father took her to a space camp in Alabama’s Huntsville. From there, Alyssa started answering the unknown questions in her mind. The desire to know increased day by day. And her father is staying with her like a shadow. On October 9, 2013, 12-year-old Alyssa made a history of getting a passport to enter all the Visitors’ camps of NASA. As the youngest and the first one to have access to all the visitor centers, the real picture of her dream began. Since 2008, this little girl, who has given 18 times the opportunity to visit the space camp, has made a big space in the minds of the astronauts. In her home, there is a large map of Mars from where she gained knowledge about the names of its territories, detailed ideas about it. 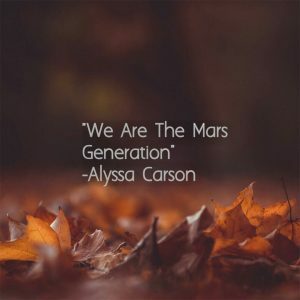 Alyssa thinks that they are the Mars generation. How intelligent is to think about a journey to Mars? It is 100 percent possible. Why now, according to Canadian famous Astronaut Chris Hadfield, it is possible by the technology of 1969. He thinks people could keep their feet in Mars in the sixties. If someone asks that there is enough technology for migration to Mars now, then it will be answered that the general technology of traveling to the moon of 69 is enough. But the problem is the fear of the death of the astronauts. This former commander of the International Space Station thinks that if a person stays in space for a longer period of time, the risk of death increases due to radiation-related cancer. So Hadfield thinks that the current tourism to Mars is like the famous Portuguese traveler Magellan. Magellan visited the whole world from 1519 to 1522. Where the travel companion was about 250 but only 15-18 people were able to return. So the problem is how challenging it will be to survive in that hostile environment. But of course, people can reach. Rather, SpaceX’s executive Elon Musk thinks they want to send people to Mars through spaceships that can reach in just 30 days. And we have all the technology related to the journey. The only problem is to survive. 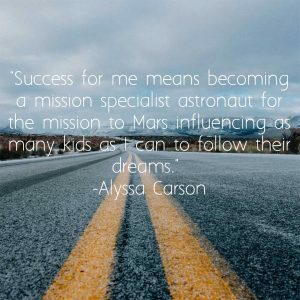 Alyssa Carson will be in Mars for 2-3 years. She is going to take part in all the activities, such as exploration, tree plantation, soil testing, searching for life and so on. Again, since it is the mission of 2033, there will be many more improvements in technology. Mars One and SpaceX have planned to visit Mars before 2033 and build colonies. 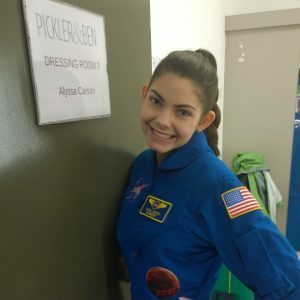 Though there are differences of opinion about how fast it is possible, Alyssa will be sending by NASA with a fairly 100% preparation, there is no doubt about it. A few days ago, the existence of water found in 20 kilometers of Mars in one kilometer deep. The South Pole in Mars can be covered by the Polar region. Curiosity Rover, sent by NASA, found liquid water near the surface of Mars. After this discovery, the researchers got the idea that Mars is not completely cold and dry. Scientists believe that there is a kind of salt on the surface of Mars, which helps to go the fluid water under a freezing point stage. According to the current technology, going to Mars is quite time-consuming. Because we know that both planets are rotating around the Sun. So sometimes the distance between the two planets is rising and sometimes decreasing. The average distance of Mars from Earth is about 140 million miles. But most of the time, this distance is observed that in every 15 years the earth and Mars comes quite close. The distance is approximately 33.9 million miles then. As of the end of July 2018, Mars was seen very close to the earth. The last time it happened was in 2003. 15 years later, this year 2018. Again, after 15 years it will be 2033 when NASA wants to send Alyssa. So, the journey to Mars is certainly possible and settlement is 100 percent reasonable. Controversy is about survival only. SpaceX and Mars One are coming out with a lot of measures to send people to Mars. In the next two or three space missions in front, Alyssa showed interest in becoming the first small astronaut. Again Alice’s current age is 17 years. To be a NASA astronaut, the condition of 18 years of age has to be met. So the next year NASA is going to publish the name as the official astronaut, Alyssa. Alyssa is told to be ready for the next three space shuttle missions in front. According to it, she is getting trained and learned about changes in the body in the absence of oxygen, underwater training, floating in the vacuum etc. have completed the primary courses. If all is well, 32 years old (according to that time) in 2033, Alyssa is going to be alone in a whole new environment. She does not know from where she will ever return. But Alyssa has a wish. If she can return to the world, she wants to be the president of the United States. If she can not return, then she will tell the entire Milky Way to know that human beings will give paw for the heroic sacrifice of her life. Alyssa will be the biggest fighter in this galaxy.